Quick navigation to important pages like about, contact, pricing, portfolio. eStudio theme is built on ThemeJunkie WordPress framework, and uses the latest SEO Semantic Code to give you great result. 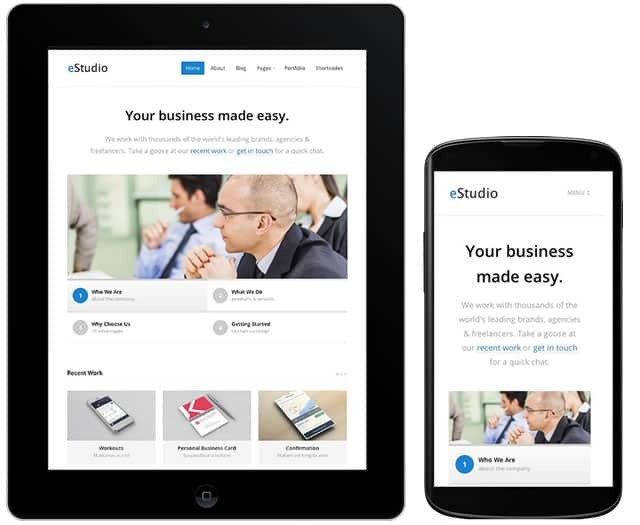 This is a responsive WordPress theme, so you don’t need to do anything specially for your mobile users. Your mobile visitors will see your website in mobile optimized view. If you want to check responsiveness of eStudio theme, simply resize your browser on demo website (link below). 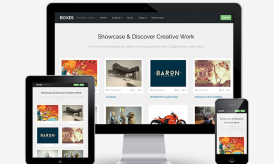 One of the most notable feature of this plugin is portfolio page. Specially, if your business blog requires to showcase your work, portfolio pages of eStudio will make your product look impressive. This theme also offers page templates, but lack a template for testimonial page. 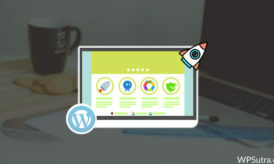 If your business requires you to showcase your client testimonial ( Testimonial helps in improve conversion), you can use this plugin to manage and showcase testimonial. This theme comes with a price tag of $39, and to sweeten the offer, Theme-junkie team is offering 2 more themes from their premium themes marketplace. 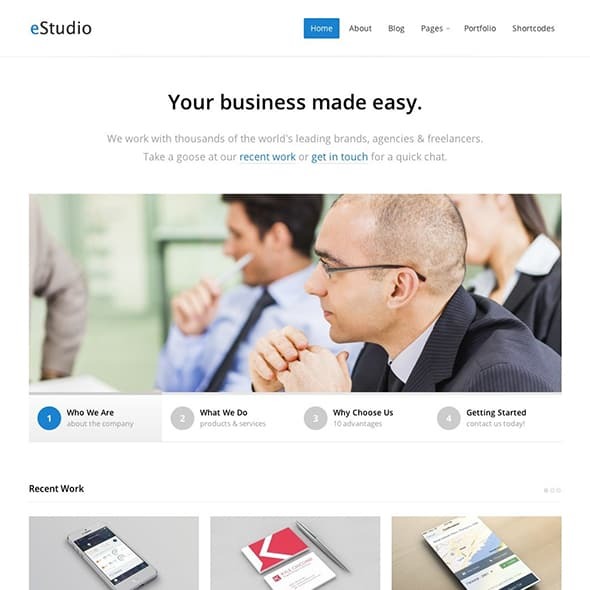 Over all, if you are looking for a clean layout theme for your business website on WordPress, eStudio will perfectly match your mood and taste. Do let me know your view and opinion about this theme? 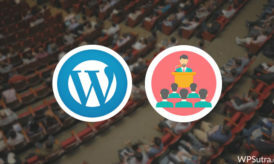 Also, which is your favorite theme for a business website on WordPress?